In 2019, through March, our Tennessee region has gleaned 180,707 pounds of fresh produce in 44 events, with 385 volunteers. Food donated by 12 farmers has been distributed to hungry people through 58 feeding agencies. Based in Nashville, the Society of St. Andrew Tennessee regional office (established in 2010) coordinates the state-wide Tennessee Gleaning Network, handles the placement and distribution of large loads with the Potato and Produce Project, and advocates on behalf of numerous hunger relief programs. 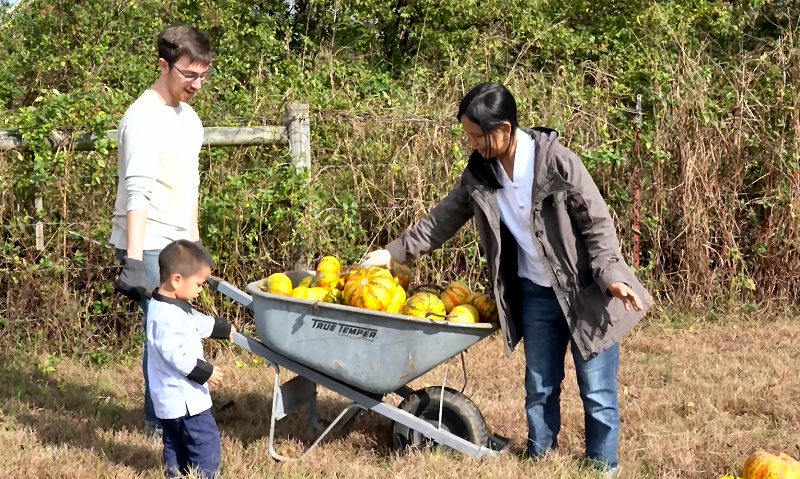 Through the Tennessee Gleaning Network, we coordinate volunteers across the state who enter fields and groves after farmers have finished harvesting and simply pick up the tons of good, nutritious produce left behind. This food is delivered to local food banks, pantries, soup kitchens, and other agencies to feed hungry people across the state. Society of St. Andrew makes all arrangements regarding the farmers, produce containers, and food distribution. All that volunteer gleaners need to do is show up. Most gleaning events take place in the morning, often on weekends, and last around 3-4 hours. Volunteer groups are encouraged to take food back to agencies or programs that they support in their local area. Our volunteers represent groups from various church denominations, synagogues, youth groups, corporate and civic organizations, individuals, and inner-city residents. People of all ages can glean. Gleaners should be able to bend over and should be able to bend and lift several pounds of produce. How can my congregation or faith community get involved? SoSA works to establish a community of love, and to support lives of service and action according to the Gospel witness. If you or your faith community are interested in receiving spiritual resources about hunger and hunger relief, or having a SoSA staff member speak at your congregation, contact our regional director. If I have food, how can I donate? We work to make donating as easy as possible, and the interests and investments of our farmers are our highest priority. To find out more about donating, contact our our program coordinator. How can my agency become a receiving agency? It’s simple! Contact our program coordinator to start the conversation. We would love to hear about your work, your service population and food needs, and why you do what you do. Does your city have a map? Will you help us make it to the Big Payback Leaderboard this year?